The primary purpose of the N.U.T.S. is the compilation of performance lists (Seasonal, Annual and All-Time), for all age-groups. In 1957 British lists 50-deep were published in Athletics Weekly, but until then published lists had usually been ten deep (a little more in the McWhirter's Athletics World 1952-7). NUTS lists for 1958 were published in British Athletics 1959 and ever since the NUTS have compiled lists for the British Athletics Annual. The Annuals were supported by the British Amateur Athletic Board from 1959 to 1973. The title was changed to U.K. 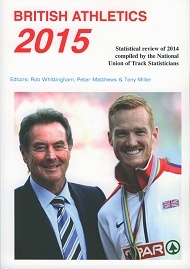 Athletics from 1974-1982 (when published by the N.U.T.S. ), reverting to its original name from 1983 to 1992 (once again under the aegis of the B.A.A.B.). 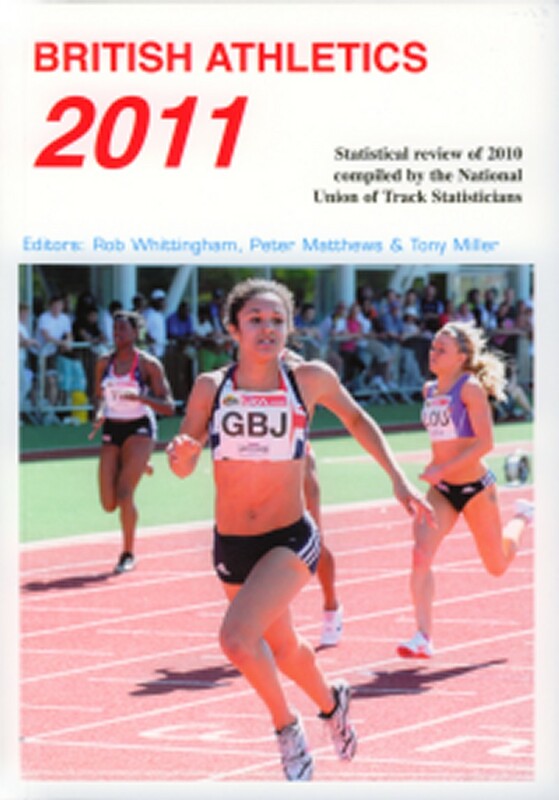 From 1993 the annuals have been published by our member Rob Whittingham through his companies Umbra Software Limited and Umbra Athletics Limited from 2001. Publication by the NUTS itself resumed in 2010. Widely known as "The N.U.T.S. 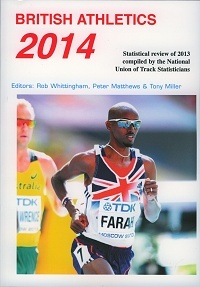 Annual", British Athletics is the essential handbook for athletics enthusiasts. 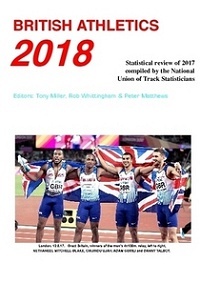 Packed full of information, it enables the deeds of Britain's athletes, from club level to the highest international class to be set in their national context. 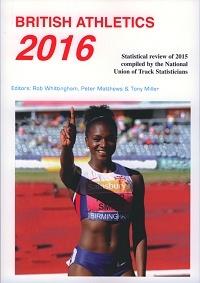 It provides the definitive record of the year’s performances by British athletes both for immediate and long-term historical use. 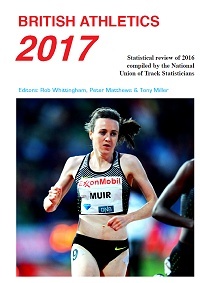 The main part of the Annual is the 100-deep (where possible) ranking lists of British athletes for all men's and women's events for the past year. Also for each event there are ranking lists for the younger age-groups U20, U17, U15 and U13. All athletes included in these lists (over 4000 in the last annual) are detailed in the index, an invaluable aid for followers of the sport. There is a detailed records section, followed by all-time lists for man, women and the younger age groups. The results section includes all international fixtures of the previous year as well as details of domestic championships. Annual Merit Rankings (compiled every year from 1968 by Peter Matthews) are included with other miscellaneous items, including obituaries for the past year. The assistance of athletes, coaches, administrators, meeting organisers and other enthusiasts is vital for achieving the comprehensive and accurate documentation to which we aspire. Below are the contact details of the general editors and specialist compilers, to whom information should be sent. Deep UK ranking lists for all age groups in 2017, top 12 merit rankings, all-time lists, results etc. 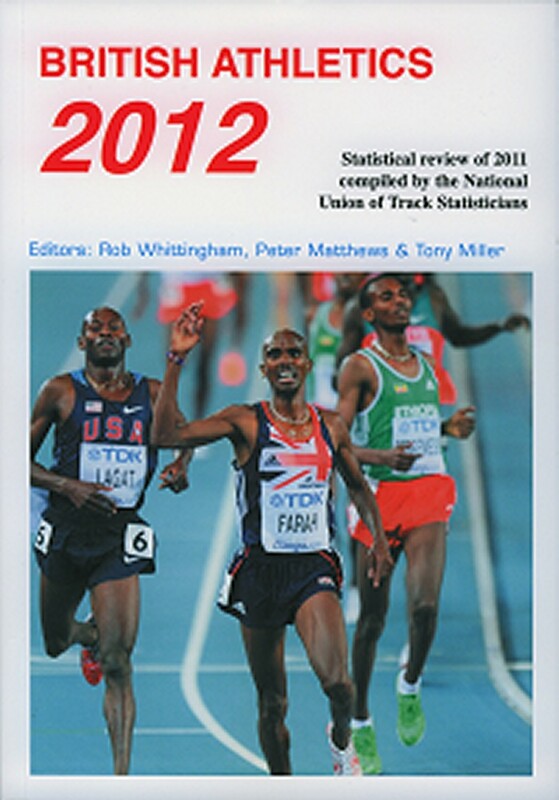 The 59th NUTS Annual, edited by Rob Whittingham, Peter Matthews, and Tony Miller. Deep UK ranking lists for all age groups in 2016, top 12 merit rankings, all-time lists, results etc. 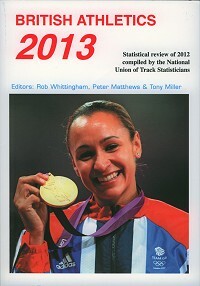 The 58th NUTS Annual, edited by Rob Whittingham, Peter Matthews, and Tony Miller. Deep UK ranking lists for all age groups in 2015, top 12 merit rankings, all-time lists, results etc. The 57th NUTS Annual, edited by Rob Whittingham, Peter Matthews, and Tony Miller. Deep UK ranking lists for all age groups in 2014, top 12 merit rankings, all-time lists, results etc. The 56th NUTS Annual, edited by Rob Whittingham, Peter Matthews, and Tony Miller. Deep UK ranking lists for all age groups in 2013, top 12 merit rankings, all-time lists, results etc. The 55rd NUTS Annual, edited by Rob Whittingham, Peter Matthews, and Tony Miller. Deep UK ranking lists for all age groups in 2012, top 12 merit rankings, all-time lists, results etc. The 54th NUTS Annual, edited by Rob Whittingham, Peter Matthews, and Tony Miller. Deep UK ranking lists for all age groups in 2011, top 12 merit rankings, all-time lists, results etc. The 53rd NUTS Annual, edited by Rob Whittingham, Peter Matthews, and Tony Miller. Deep UK ranking lists for all age groups in 2010, top 12 merit rankings, all-time lists, results etc. Lists are based on data in www.topsinathletics.info, checked and augmented by the NUTS specialist compilers.